Before the limited overs leg between India and England began, the most important point that was being stressed upon by cricket experts was simply this. The fate of the series would be decided by how spinners of both teams fare. While Adil Rashid and Moeen Ali were performing very well against a depleted Australian side, it was always feared that they may not have the same impact against the more pedigreed Indian batting lineup. 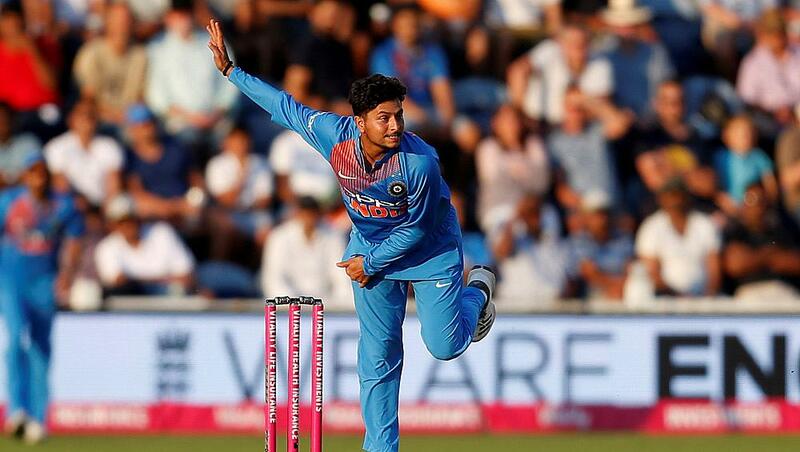 On the other hand, the English batsmen were wary of the wrist pin of Kuldeep Yadav and Yuzvendra Chahal. Historically, England have struggled against spin bowling, wrist spin in particular, and this was going to be their litmus test before the 2019 World Cup. As it turned out, they looked like a cat on hot tin roof when put against the Indian spin twins. It is the end of the English summer and the pitches all across the country have become a bit sluggish. As a result, the ball is stopping and gripping on the surface. This is in contrast to the early summer when there is sufficient rainfall and the pitches remain damp. This then helps the fast bowlers as the new ball, with a more pronounced seam, jags around. Not only this, the dampness of the pitch renders the spinning deliveries to skid through the surface. As a result, the ball does not break as much and the players can play lofted shots through the line. However, in July and August, the pitches become very dry and the tweakers find the conditions conducive to spin bowling. The cricketing world has mostly seen right-handed leg spinners. Legends like Shane Warne and Anil Kumble have left behind a great legacy of leg spin. However, when it comes to left-hand leg spinners, also known as chinaman - a politically incorrect term - there have not been too many bowlers who have mastered the craft over the years. The only prominent name that comes to mind is that of Australian wizard Brad Hogg. Spending time with Hogg at the Kolkata Knight Riders franchise in the IPL must have helped Yadav to refine his skills. Yadav's ball comes with an awkward angle that is difficult for batsmen to comprehend. The obvious reason behind this is that they have not faced quality left arm wrist spin and the bowling machine is not good enough to replicate the original action. The English side has now resorted to Merlyn, a unique bowling machine also used at the time of the 2005 Ashes to neutralize Warne factor, but many remain uncertain of its benefits. 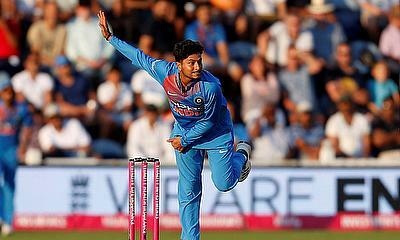 Both Yuzvendra Chahal and Kuldeep Yadav may not be very experienced as far as their age is concerned. But make no mistake, both are seasoned T20 bowlers in their own right. They have been bowling for years in the IPL as well as in the domestic circuit. Through this span, they have developed various variations, but more than that they have got a hang of the mindset of the batsmen. The two have come to understand that if they would try to bowl to get away, they would anyways go for runs. Instead, what they try is to go for wickets which breaks the back of the opposition batting line up. Both of them may go for runs on days but they do not hesitate in flighting the ball. The duo also bowls quite slow through the air which gives them extra drift and spin and in turn an opportunity to buy wickets. Most English batsmen have been bred against quick bowling. They are comfortable against bowlers who give them pace and bounce. This then allows them to cut and pull the ball which is very natural to their game. However, when there is no pace in the ball and they have to make all the effort to manufacture power in the shot, then the trouble begins. Moreover, if the ball starts spinning viciously, they don't seem to have the technique to fall back on. As a result, they try to muscle these balls or sweep everything that comes their way. It is because of this technique that they are found wanting most of the times. After England lost the 2015 World Cup, the ODI team went through a complete overhaul amid hue and cry. Several players were sacked and there was an attempt for a new culture to be inculcated in the team. Eoin Morgan was given the command and he blooded maverick youngsters in the team who had T20 cricket as their staple diet. As a result, the team started playing a fearless brand of cricket and soon started toppling ODI records one after the other. Their run of form in limited overs cricket has been exceptional since then. 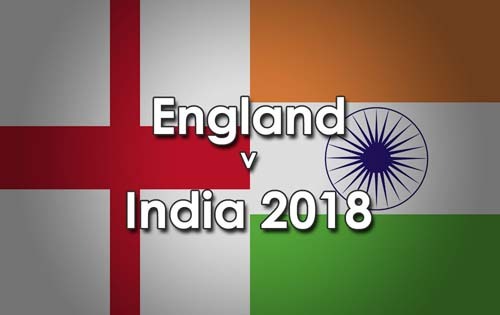 The English team works on the simple theory: Come what may, keep playing aggressive and attacking cricket till the last wicket slash ball. However, fighting fire against fire is not the best option in every situation. For instance, if the English batsmen consider playing out the overs of Kuldeep Yadav and Yuzvendra Chahal - and by playing out, one means to score singles, doubles and an odd boundary - they would still have Umesh Yadav and Hardik Pandya to run riot against.